We had new neighbors move in next door! This is exciting, because the house has been sitting vacant since before we moved in last May! 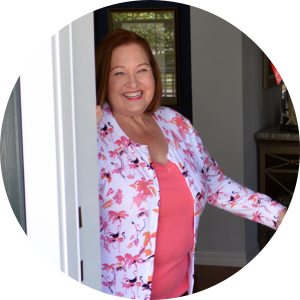 I wanted to take a little something over to welcome them to the neighborhood and whipped up this quick and easy five minute chocolate fudge! Chocolate walnut fudge happens to be my sister’s favorite kind of fudge, so while I am at it, I will mix up a batch for her, too! This is so easy, anyone can do it! 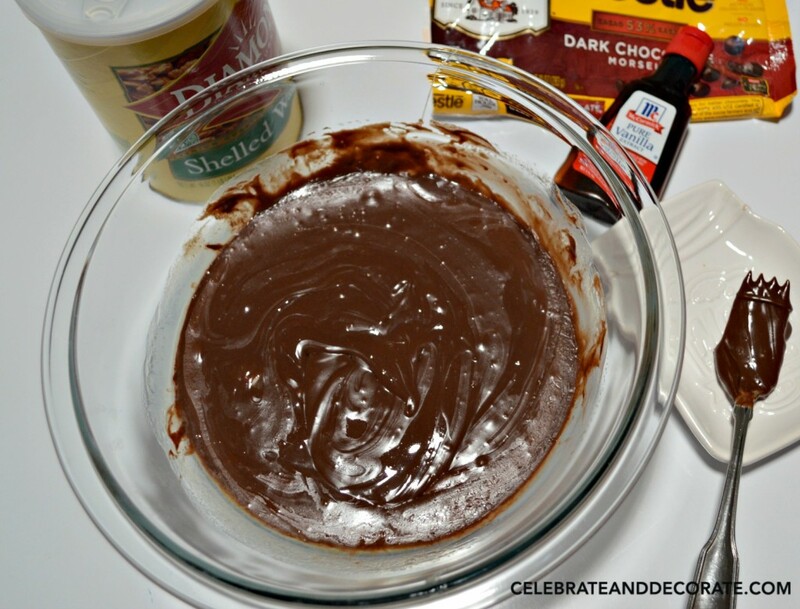 I love using Reynolds Wrap Release for cooking so many things, but the great thing about using it with this fudge recipe is that as soon as the fudge is set up, you can just lift the foil with the fudge in it, and the fudge comes right out! The pan is as clean as can be! I am all for opportunities to reduce my dish washing! 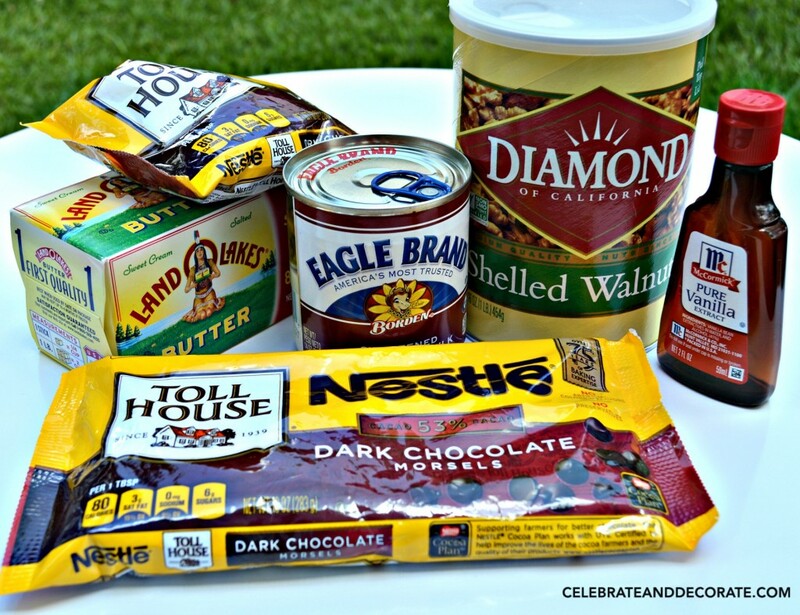 Look how easy it is to have these ingredients on hand, just in case you feel the need to mix up a batch of delicious fudge! Any brands will work, but these are my reliable go-tos. 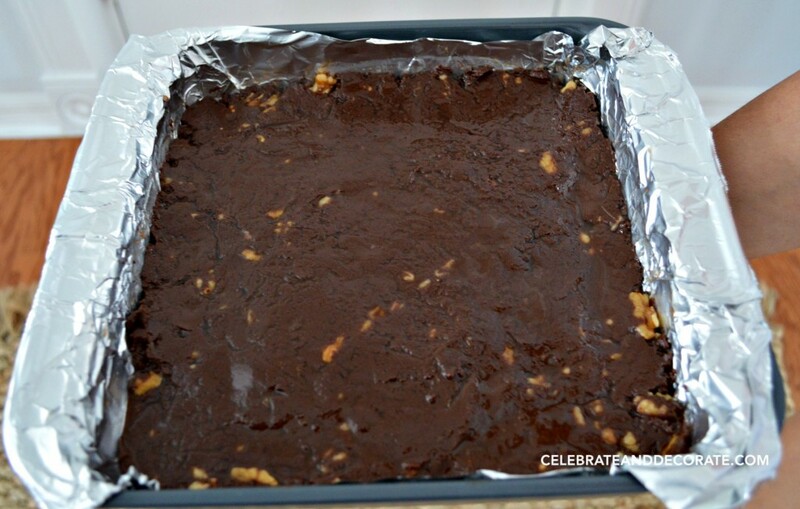 An easy and delicious fudge to make! 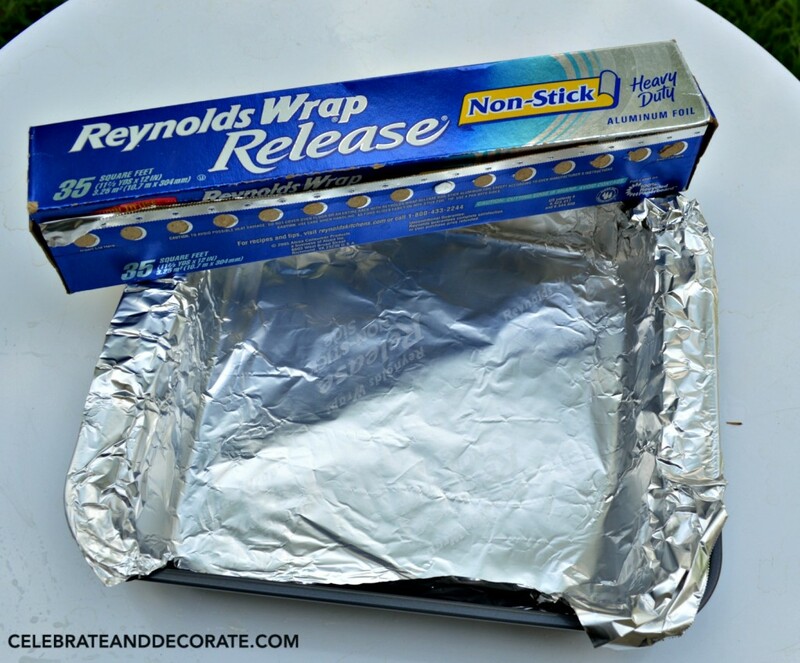 Prepare a pan or tray by lining with Reynolds Wrap Release. Combine the chocolate, milk and butter in a large glass bowl. Melt in the microwave for 90 seconds on 50% power. Take it out and stir it and then melt for another 30 seconds on 50% power. Stir in the vanilla and the nuts. Spread the mixture into your parchment paper tray with a spatula. Top with the walnut pieces, by patting them into the top of the fudge wherever you don't see a lot of nuts. Chill until firm, cut into one inch squares and store in an airtight container. 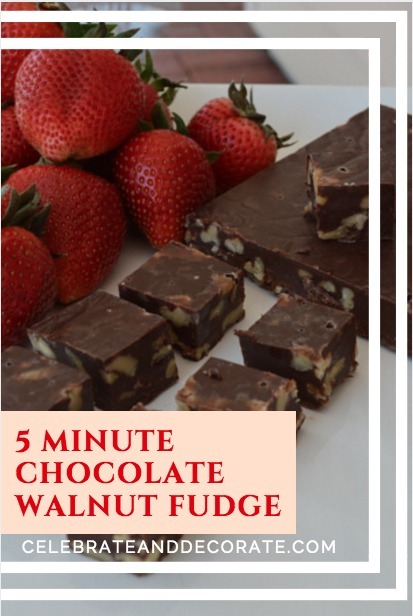 This recipe lists the brands I like to use, and I love walnuts, but you can substitute pecans or any other kind of nuts you prefer in your fudge, or can eliminate the nuts completely. 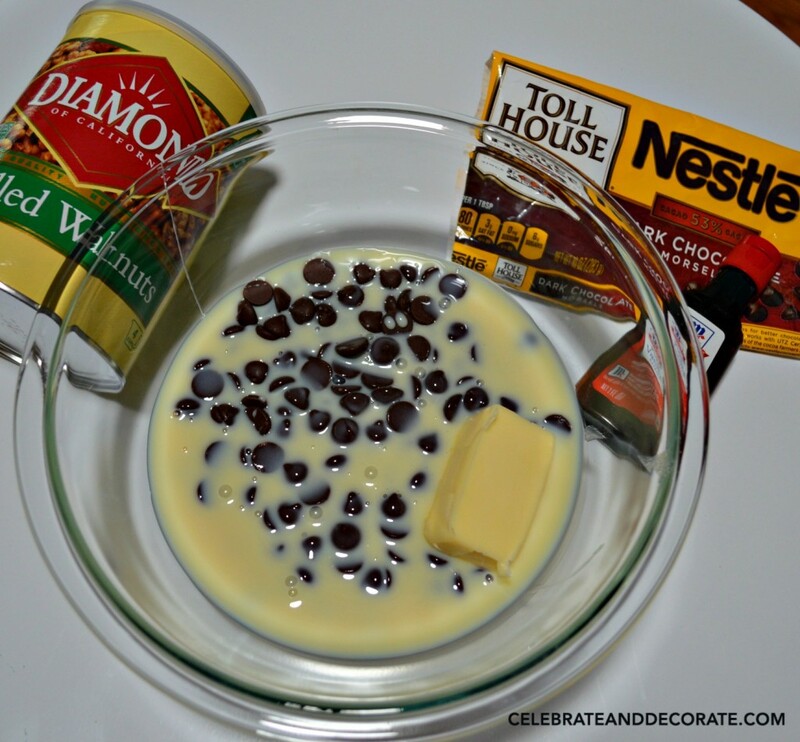 Chocolate chips, butter, and sweetened condensed milk are ready to go into the microwave. Make sure you set that power level to 50% or less so you don’t burn your chocolate! Here is the chocolate, all melted with the vanilla stirred into it. I just add the nuts and then spread it into my prepared pan. After this, all that is left is for it to chill, firm up and then enjoy this delicious treat, or…in my case, deliver it to your new next door neighbors! Look at all of those walnuts! 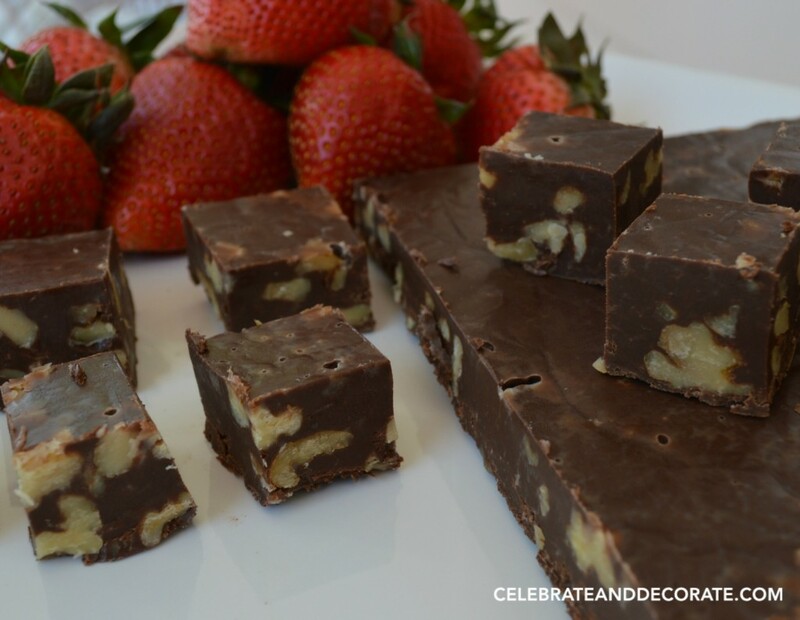 I love nuts in my fudge, and when you make it at home, fudge is so reasonable and you can customize it just the way you want! 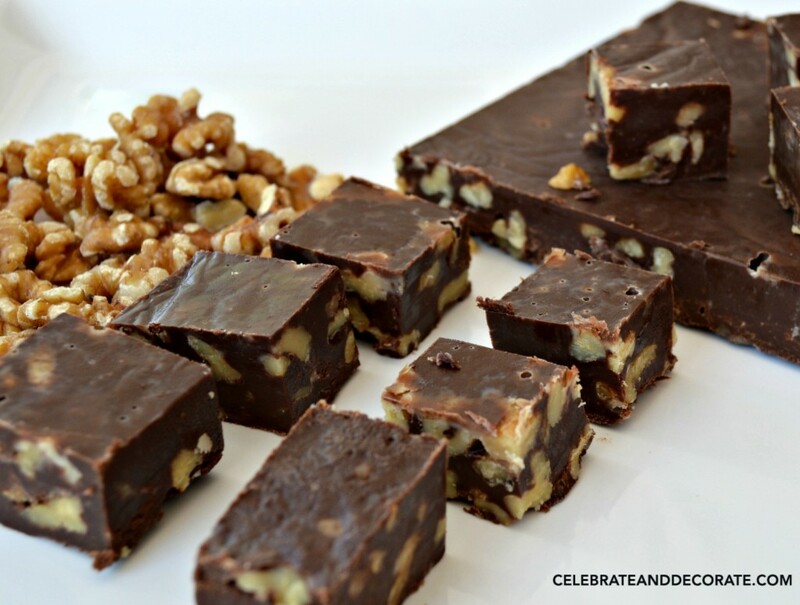 Try this Five Minute Chocolate Walnut Fudge and you will not be disappointed! This looks melt in your mouth delicious and the fact that it only takes five minutes to pull together makes it even better. We don’t have any new neighbors but I bet they’d still welcome a treat like this. 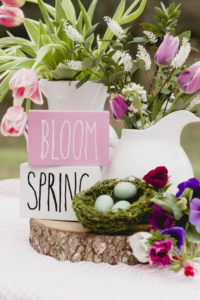 Happy Mother’s Day and enjoy those grandbabies! Thanks Sandra, it has been very popular around here…3 batches later! I am going to keep all of these ingredients on hand! Looks like a wonderful recipe. I will try this one for sure. Thanks you. Oh so yummy fudge is always wonderful! I printed your recipe and thank you for sharing and linking. I made this recipe when some relatives were in town for a visit and it was a huge success! They thought it was delicious and were very impressed. Little did they know how easy and few ingredients were involved. Thanks Amber, it is easy and delicious! I’m writing to let you know that your recipe will be featured at Funtastic Friday #77. The party opens tomorrow night at 9 pm EST. Thanks so much Sherry! 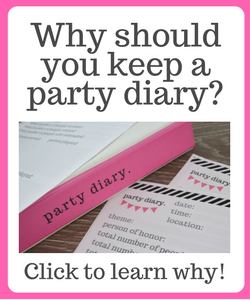 I will be stopping by to party with you all again! Fast treat and who doesn’t love fudge. 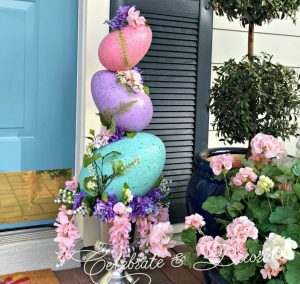 This looked so easy and delicious…how did I not think of this! Love it!! Oh this looks so amazing! Since it only takes 5 min I HAVE to try this!! I had no idea fudge could be made so quickly, probably dangerous that I know this now. lol but it seriously looks good. Definitely dangerous that it only takes 5 minutes…and I usually have all of the ingredients on hand! One of my moms favorites so I’m saving the recipe to make her some for Christmas!